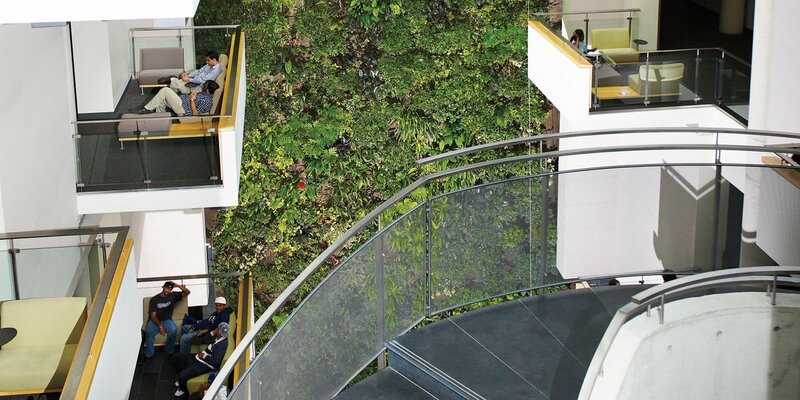 In May 2018, we installed a 4.5 m x 3.5 m living wall biofilter in the new Durham College Centre for Collaborative Education. The 75,000 square foot centre replaced the aging Simcoe building (1969). The centre serves ‘as an educational access point’ and is connected directly to the Student Services building. Rendering courtesy of Durham College.